Botox freezes the action of muscles but does it freeze feeling? I got this question in my Modesto Botox practice about three times this past week. This gave me the spark to write about it a bit in my blog of Botox Topics. 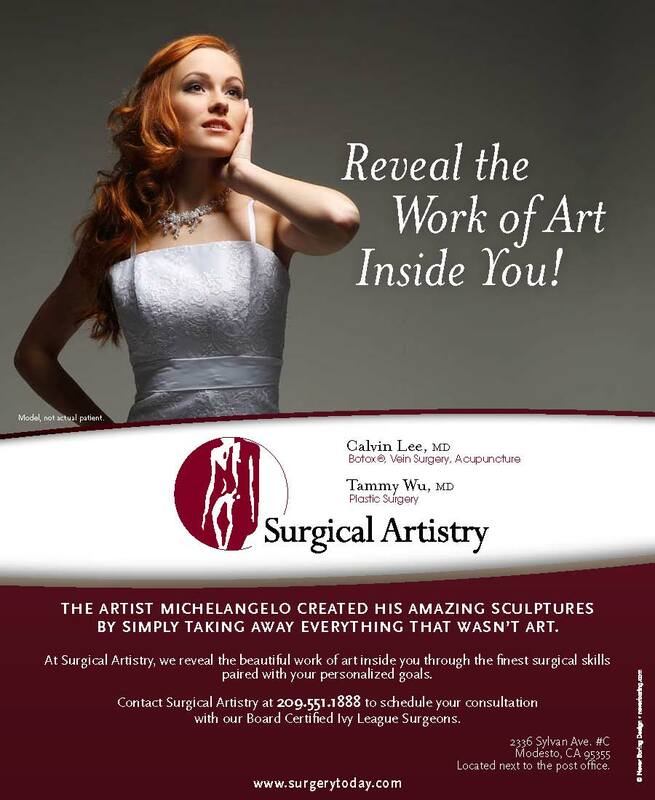 Our ad in a Modesto Magazine back in 2013. As you can probably tell from many of the questions I’ve received before, that answers are not always that simple. If I had to summarize/simplify the answer to the question of Botox making you numb – would be “no” – Botox does not make you numb. Numb in the sense of getting of numbing shot at the dentist, etc. However, it is believed that Botox may play a role in diminishing pain sensation – such as those felt in migraines. Thus Botox most likely doesn’t change your normal sensations, but it may diminish excruciating pain sensations. As we know from our studies of neuroscience, different sensations such as fine touch, coarse touch, temperature and pain have different pathways in our nervous system. Botox does not make you numb. Please see your doctor in person for a detailed explanation. There is no medical advice intended here, just a general discussion. Do you prefer to be addressed as Doctor Lee or by first name? Botox office question today: How to address a doctor at the office and in real life (outside the medical setting). Someone asked me at the Botox office today, do you prefer to be called “Dr. Lee” or “Calvin”. Well, naturally, for sure, while I’m working, I prefer to be called “Dr. Lee.” If it has anything to do with work my work as a Doctor, I prefer to be addressed as “Dr. Lee.” I’m used to it that way. In fact, I frequently refer to my wife as “Dr. Wu” rather than Tammy. I think other doctors would be used to that as well especially in a medical type setting. But what about “Dr. Calvin” – referring to my first name. That’s just “odd” to me. Perhaps this is just a personal preference. So it’s “Dr. Lee” for sure as my preference when it’s in a medical office or in a medical setting. Then the question comes about, what if it’s at a random setting like a bank or a party. In that case, I don’t really mind which one. But the funny thing is that I have been called “Dr. Lee” for more of my life than “Calvin” now. And I have grown somewhat more accustomed to “Dr. Lee” as my name. I think this is partly because I became a trauma/general surgeon and I didn’t have much of a life (I still don’t) outside of being a doctor. I frequently have a “guilty” type reaction when I’m called “Calvin” – because that’s what my wife and my parents call me – especially when I’ve done something wrong – I’m just slightly joking here. Thus for personal reasons, not for any stuck up type reasons, it’s my preference to be called “Dr. Lee” anywhere. But perhaps there’s hope for me to get used to my own first name. What does my wife, Dr. Wu think? I know that my wife, prefers “Dr. Wu” – at least with office mail. 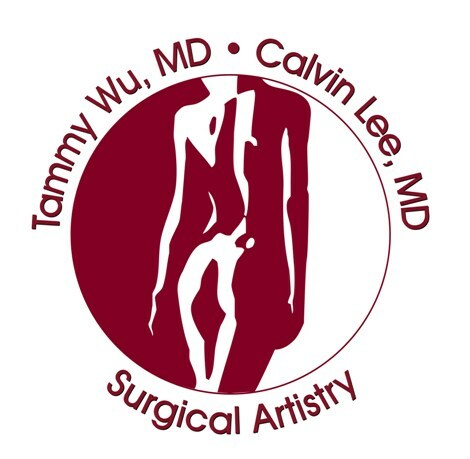 I’ve seen her immediately trash letters that say “Dear Tammy” instead of “Dear Dr. Tammy Wu or Dr. Wu” – especially our frequent resume letters from people looking to work in our office. I think she thinks that they aren’t serious enough about getting a job at the office. 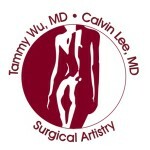 – Calvin Lee, MD – Modesto Botox Surgeon.